Bev Levasseur was born and raised in the little village of Bissett Creek, Ontario beside the Ottawa river in the shadows of the beautiful Laurentian Mountains. Later in life she decided to persue her childhood dreams as an artist. Levasseur is a visual artist with a style uniquely her own. She exhibits her art in art shows, craft fairs the Deep River Golf Club and various restaurants in the Ottawa Valley area. As a Valley Arts Council member she has won awards for her exhibits. Bev and her husband William Levasseur now reside in the beautiful town of Deep River, Ontario, nestled in the Ottawa Valley beside the Ottawa River, across from the breath taking Laurention Mountains. 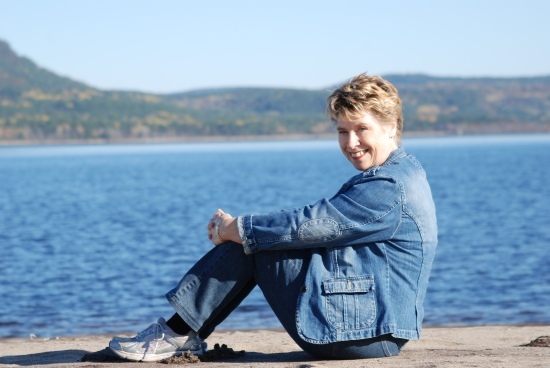 Bev Levasseur is also the author & illustrator of the children's book "The Mail Lady". 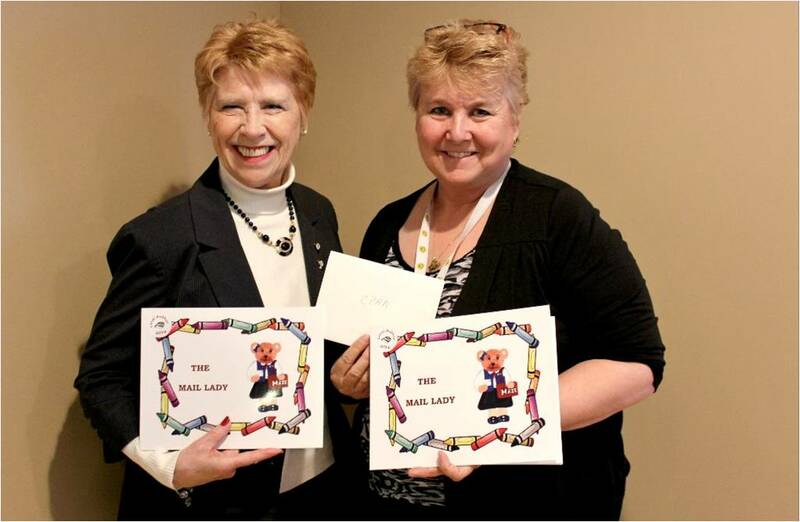 Bev Levasseur dropped by our office today with a $200 donation.. Bev wrote, illustrated and published a great book called "The Mail Lady" and $1 from each book is being donated to CPAN! We all know how important literacy is, and this book speaks about how exciting it is to write and receive letters.. Bev was a 'mail lady' for 25 years, so delivered many letters. I am a member of the Renfrew County Child Poverty Action Network. Facebook Visit my personal Facebook page. Twisted Sister Artist & Author The is a link to my Twisted Sister Artist & Author face book page.